There’s no denying that in the last few years employer branding has become a much more central piece of the talent acquisition puzzle. Talk to any recruiter or recruitment marketer for more than a few minutes and employer branding is sure to come up—and with good reason. Employer brand can play a starring role in building your company’s reputation, and a good or bad reputation can actually save or cost you money in the hiring process. And this is after only a relatively short period of prominence for employer branding as a concept. What about five, ten, or twenty years from now, when employer branding has developed a long history of driving recruitment efforts? Right now, your employer brand is probably the brainchild of a marketing or HR executive, with a limited role in business functions outside the immediate purview of recruitment marketing. Over the next five to ten years, expect this to change dramatically. Soon, the entire recruitment process will be seen as a venue for manifesting your brand in dynamic ways. If, for instance, your company is positioning itself as a learning environment with the chance to work with smart, talented people, each step in your recruitment funnel should reflect that image. This might take the form of educational content and conference talks at the top of the funnel, and be bolstered by team lunches and collaborative exercises during the interview stages. This way, the unique employer value proposition (EVP) that you’ve been conveying to potential new recruits will be reinforced, and they’ll take your commitment to providing that EVP seriously. By the same token, if your brand is all about innovation and creative thinking, your applicant experience could reflect that with unusual interview challenges and a fast moving process. But applicant experience isn’t the only area that will call for more integration with employer branding—on the contrary, everyone at your company from the newest hire to the CEO should be aware of your EVP and working to make sure that it’s reflected in every aspect of the company, even the ones that have little to do with recruitment. Why? Because the average candidate will do two hours of research into your company before applying, and during those two hours she is likely to encounter not just your recruitment marketing, but your traditional marketing and your Glassdoor reviews. If you’re prioritizing your employer brand across your organization, then all of these elements will demonstrate your core values in a way that encourages applicants to take a chance on your company. Whatever else is true about the future of employer branding, one thing is almost certain: social media will play an ever more important role. 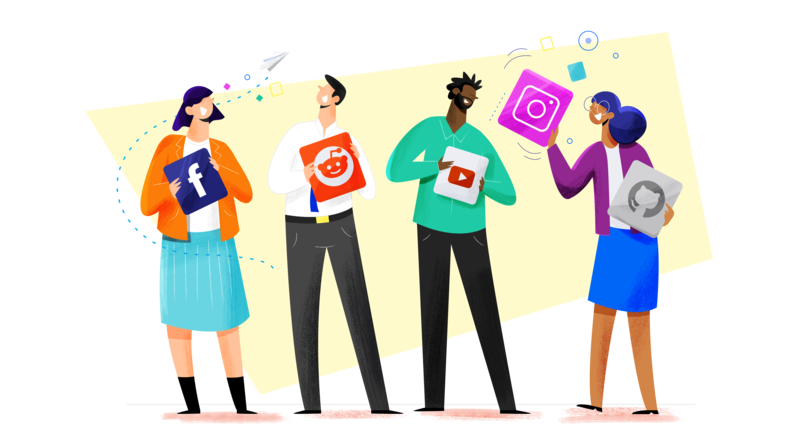 In a recent study, 70% of those polled said that they expected to increase their use of social media in employer branding, many of them significantly so. A plurality of respondents also agreed that social media was the most important digital channel for employer branding. But what exactly is the nature of employer branding on social media, and how will it change going forward? Essentially, the value of these social media platforms for getting your EVP out into the world is twofold: they’re where virtually all candidates (not just active job seekers) spend at least some of their time; and they provide a venue for conversation and two-way communication—unlike traditional media, which is decidedly unidirectional. Right now, some businesses are taking advantage of this first value proposition with quality content and highly-targeted job ads. We at the SmartDreamers blog are fairly confident that employer brand will continue to grow in importance over the course of the next several years. In a sense, however, it’s tough to say how important employer branding is right at this moment, because most businesses aren’t effectively measuring the impact that they it actually has on recruitment. This, we’re quite certain, is going to change—and soon. As businesses invest more resources into employer branding, expect a host of new KPIs and methods for measuring the effectiveness of these branding efforts on overall recruitment performance to arise. Certainly, with the emergence of marketing automation within the past few years, we’ve seen the rise of new metrics and new attempts at quantification regarding traditional marketing. Now, especially with the rise of recruitment marketing automation, we’re beginning to see the same trend in hiring and talent acquisition. Soon, it will be a given that recruiters can tell you the effect of their employer brand on cost per hire, time to hire, cost per click, and other key measures of value. When this happens, it will be the recruiters and HR departments who have taken advantage of social media and other integration opportunities who not only see the best ROI, but have the tools to definitively demonstrate that ROI.